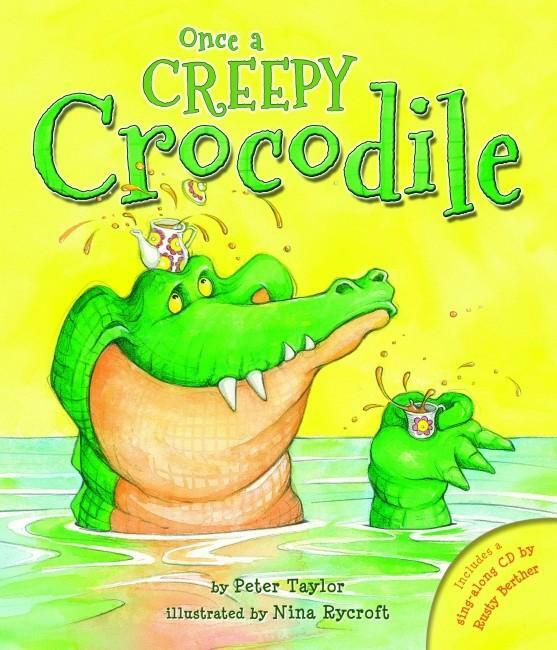 With an eye seemingly cast towards the old poem about the spider and the fly Taylor has created an Australian version with a rather greedy looking crocodile in search of afternoon tea. The chief food on the menu appears to be a very innocent young brolga who is warned to stay away from the croc by various other bush animals. Rycroft’s illustrations are full of action with double page spreads adding to the anticipation of an end which contains a neat unexpected twist. To add to the fun is a CD containing a lively sung version, to the tune of Waltzing Matilda, of the poem by Rusty Berther. Here is a wonderful combination of talent that makes this book a real winner. No young child up to junior primary, and, I suspect, adults who share, will fail to enjoy this book and its accompanying music.